Libraries have a long tradition of providing resources and services for adults wanting to improve their reading and writing skills. Basic, functional literacy is an essential skill for an individual’s personal and professional growth—it is also key to their full, beneficial use of a library’s services and programs. The need is great: More than 36 million adults in the United States cannot read, write, or do basic math above a third-grade level. Libraries are helping to meet this need through outreach, programming, and partnerships. 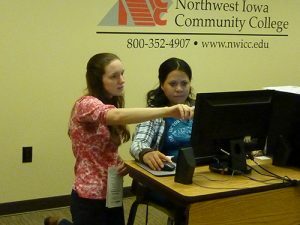 With the award of an Institute of Museum and Library Services (IMLS) grant, the Office for Diversity, Literacy and Outreach Services partnered with ProLiteracy to develop a free online course that guides libraries in integrating adult literacy services and policies to help meet the needs of the 36 million U.S adults who lack adequate literacy and basic skills. The interactive course includes 10 modules based on the recommendations outlined in the 2014 Adult Literacy through Libraries: An Action Agenda. The course is free to all, though registration is required. Literacy for All: Adult Literacy through Libraries is a toolkit to help libraries add, expand, and advocate for adult literacy services and was created by ALA's Committee on Literacy and Office, Diversity, Literacy and Outreach Services.